It is important to note that when the correct claim procedures are followed by an Insured, it can greatly assist in the smooth and prompt settlement of claim. When claim procedures are not adhered to it can cause delays in settlement and in some circumstances, could allow Insurers to deny the claim. 1. 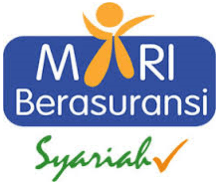 Report the Incident to Claim Department of THE INSURANCE COMPANY immediately not later than 7 days. · THE INSURANCE COMPANY will normally appoint a Loss Adjuster to investigate the cause of the loss/damage and determine the settlement amount. Loss Adjuster is independent experts but their services are paid for by THE INSURANCE COMPANY. The Adjuster / THE INSURANCE COMPANY will visit the site at a convenient date and time with you. It is normal for the surveyor to take photographs and interview your personnel regarding the incident. Full cooperation must be extended to the Adjuster / THE INSURANCE COMPANY. · It will speed up the process if you are able to prepare a chronology of accident/incident and obtain estimates of loss/quotations for repair from the suppliers/contractors and have these items ready for presentation to the Loss Adjuster / THE INSURANCE COMPANY when they visit. 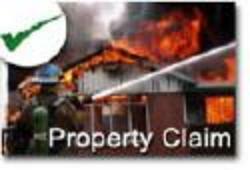 · All requests for documentation will be made in writing, and the Loss Adjuster / THE INSURANCE COMPANY will provide guidance and explanations as required. · You will be required to provide the documentation requested as soon as possible but if the claim settlement is proceed quickly you should endeavour to submit the documents no later than 15 days after the request is received. In the event that you are unable to provide any item requested by the Loss Adjuster / THE INSURANCE COMPANY you will need to provide a written explanation to THE INSURANCE COMPANY. · Once received, the Loss Adjuster / THE INSURANCE COMPANY will check the information to ensure it is complete and that it matches what the Loss Adjuster / THE INSURANCE COMPANY has asked for. · If all is in order, The Adjuster will study the documentation and will submit a report to THE INSURANCE COMPANY detailing the recommended settlement offer. THE INSURANCE COMPANY will advise you of the settlement offer and ask for your approval. This process would normally take about 15 days but if the claim is particularly large or complex this may take longer. · Once the terms of the settlement offer has been discussed and agreed with you, THE INSURANCE COMPANY will prepare a Discharge Form which they will ask you to sign, prior to their transferring the claim monies within 7 days (on average). Detailed below are some examples of documentation that is commonly requested by THE INSURANCE COMPANY. This list is not exhaustive and THE INSURANCE COMPANY may request specific items of documentation. · Contractors estimates for the repair, reconstruction, replacement of the damaged property on a like for like basis. These estimates need to be itemized to show both the cost of materials and labour costs. · If you use your own inventory of materials you will need to provide THE INSURANCE COMPANY with invoices / requisitions etc to support this. If your own labour is used you will need to show this at cost plus any usual allowances. · A reconstruction cost for the building may be required. Adjusters / THE INSURANCE COMPANY will usually need to check the value of the building(s) damaged to ensure that the sum insured is adequate. · If the machine can be repaired – a list of the parts required for repair, along with purchase invoices / quotation etc. · Details of labour costs of repair work. · Details of labour costs for installation work. · Quotation for replacement of the machine / equipment if it cannot be repaired.